Music is an essential component of any show. 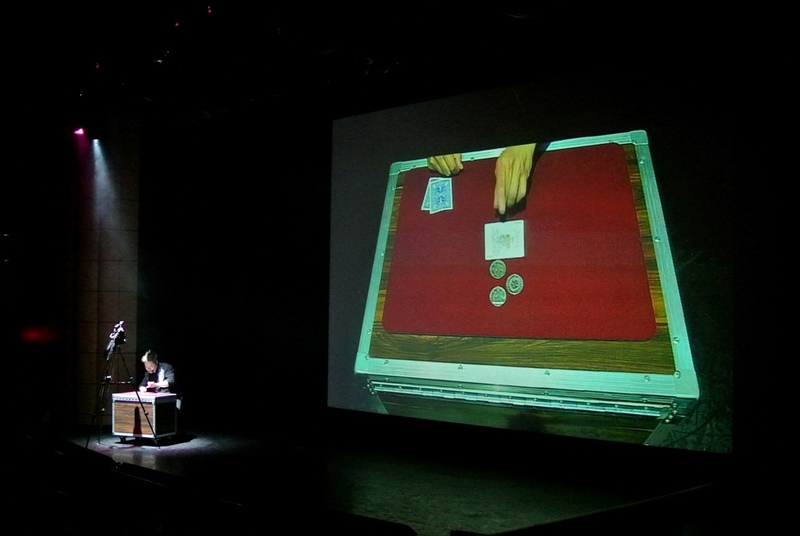 A magic show, regardless of the scale of the show, is no different. Choosing the right music for your acts is critical. You need to match the tempo, music, feel and mood of the music to the illusion performed. The late-Gary Ouellet covered this subject in depth in his excellent book & companion tape ‘Music for Magicians’. I highly recommend this book/ CD set and it is still available from Camirand Academy of Magic. This book will give you sound (pun intended) advice on sources of music and choosing the right music for magicians. It will also walk you through a simple music & sound effects edit session. While there are multiple sources to learn basic editing and music production, Gary’s book is tailored specifically for magicians with magic examples, making it easy to relate to. This course was released in the early-90s so the discussion on technology is dated but the fundamental principles are still relevant. At a more sophisticated level, music is an integral part of the act. The music becomes just as important as the illusion itself. With a well-designed piece of music, performed with choreography and precision timing with an illusion, the music enhances the illusion and can also be used to highlight magic moments within an illusion. The music also no longer just serves as a backdrop but helps guide the audience through the narrative of the illusion and gives the audience distinct applause cues. An example of how music can be used can be seen in an illusion I present dubbed “Impossible Cut”. Music can also be used to evolve sentimental emotion which is a great state to be in to experience wonder that good magic can create for an audience. Copperfield is a master of matching such music with many of his illusions like “Flying”, “Snowing” and “Portal” to name a few. In the example below, I choreographed a close-up act to a great piece of music to enhance the routine. Avoid overused music pieces that are clichéd and overly familiar, unless you are doing a spoof or themed illusion that must use the track for a logical presentation of the illusion. Avoid using signature music from signature acts from other (especially) well-known magicians. Performing a dove or card act to Vivaldi’s ‘Four Seasons’ would be unwise and disrespectful to Lance Burton. The same goes for An Ha Lim’s use of “Explosive” by Bond for his card manipulation act. Also avoid using music used by well-known illusionists such as Copperfield or Hans Klok. The late-Joanie Spina offers great advice on music selection for magicians and gives many examples in her excellent video set ‘Getting Your Act Together’. This video is required viewing for all stage magicians, especially illusionists and their assistants. Bear in mind, this video was produced in the mid-90s and it does feel dated in production as well as the style of choreography; however, Joanie’s fundamental advice is still very sound. However, you may need to do some hunting to find her DVDs now.